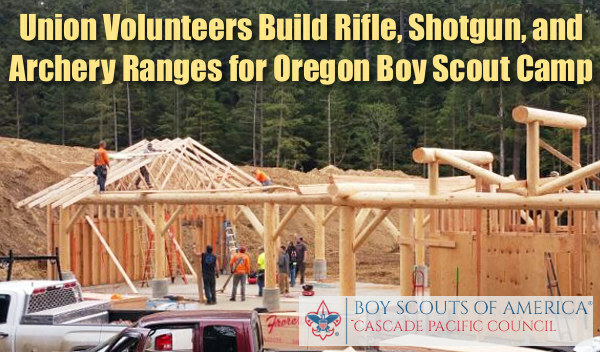 This is a “feel-good” story about volunteers who helped build three modern ranges at the Boy Scouts of America (BSA) Camp Meriwether facility in coastal Oregon. For the shooting sports to survive and thrive, we need to train new shooters, particular young boys and girls. Many of us learned to shoot in the Boy Scouts. Now, through the efforts of Union volunteers, thousands of Scouts will enjoy quality marksmanship training at Camp Meriwether. Sixteen skilled volunteers have helped construct a 24-lane rifle range, a 24-lane archery range, and a 10-station shotgun range. An official dedication ceremony is planned later this summer. Union volunteers teamed with the Union Sportsmen’s Alliance to help complete an ambitious shooting range-expansion project at the 790-acre Camp Meriwether in Oregon. Sixteen volunteers from the United Union of Roofers, Waterproofers and Allied Workers (RWAW) Local 49 and Laborers’ International Union of North America (LiUNA) Locals 737 and 296 donated 260 hours of skilled labor to help complete the $800,000 project, which added three new ranges to the popular Boy Scout camp. Archery and shooting sports (airgun, rifle, and shotgun) are among the Boy Scout’s most popular activities. 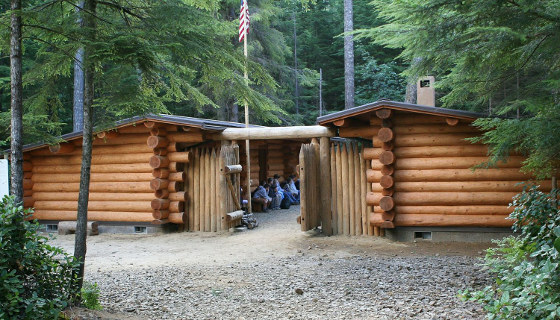 Yet for years, Camp Meriwether’s facilities were limited to just eight rifle shooting stations, eight archery stations, and two shotgun stations. In 2013, the BSA Cascade Pacific Council decided to expand Meriwether’s facilities with new 24-lane rifle range, 24-lane archery range, and 10-station shotgun range. After years of planning and site prep, the project’s final phase began in 2018. This spring and summer, union volunteers assisted in the framing, sheeting, and underlayment for the three new range structures, which triple the camp’s capacity to teach scouts marksmanship. 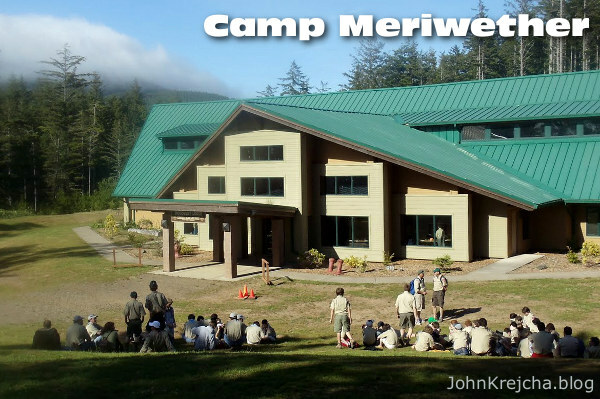 Located in rugged wilderness along the Pacific coast near Cloverdale, Oregon, 790-acre Camp Meriwether, the flagship of the BSA’s Cascade Pacific Council, can accommodate more than 500 campers each day. Acquired in 1926, Camp Meriwether is one of the few Boy Scout camps fronting the ocean — it boasts two miles of private beach. 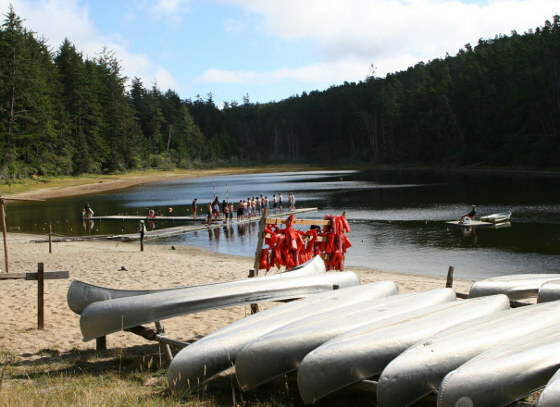 Camp Meriwether includes Lake Chamberlain, a fresh-water lake for swimming and boating, a trading post, a .22 rifle range, a shotgun range, an archery range, a black powder range, scoutcraft, and an ecology study center. For experienced campers, Meriwether offers high adventure hikes and a rock climbing program on a 44′ tower. Share the post "Union Volunteers Help Construct Boy Scout Ranges in Oregon"
Mute Enabled — Click Speaker Icon to Hear Audio. Firing Sequence Starts at 1:28. 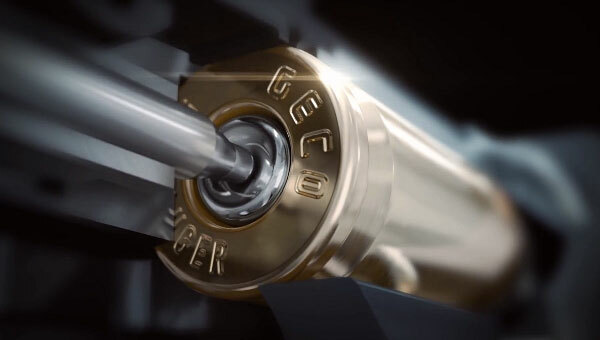 This animated video from German ammo-maker GECO (part of the Swiss RUAG group of companies) reveals the inside of a pistol cartridge, showing jacket, lead core, case, powder and primer. 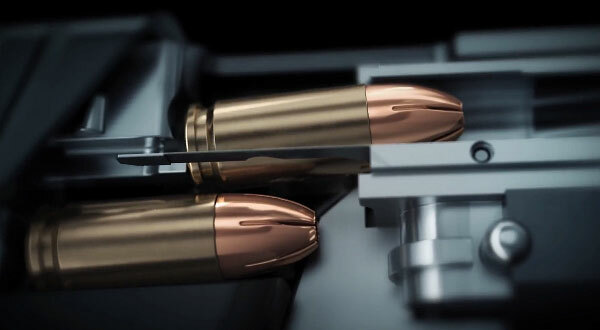 Employing advanced 3D rendering and computer graphics, the video shows an X-ray view of ammo being loaded in a handgun, feeding from a magazine. Then it really gets interesting. At 1:28 – 1:50 you’ll see the firing pin strike the primer cup, the primer’s hot jet streaming through the flash-hole, and the powder igniting. Finally you can see the bullet as it moves down the barrel and spins its way to a target. This is a very nicely-produced video. If you’ve ever wondered what happens inside a cartridge when you pull the trigger, this video shows all. They say “a picture’s worth a thousand words”… well a 3D video is even better. 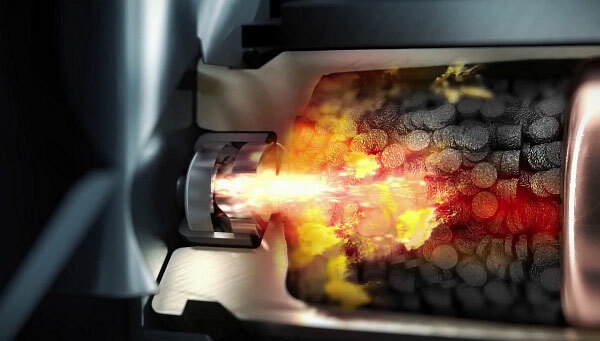 Share the post "When Rounds Fire — 3D Animation of Pistol Firing Process"
Bullets.com is closing up shop. For the past few months Bullets.com has selling off its inventory. There are still some great products left at really low prices — in many cases below wholesale cost. How about a 100-ct box of 197gr 7mm Sierra MatchKings for just $22.95. Awesome deal — MidwayUSA charges $49.99/100 for the same 197gr bullets! Or grab some very good Norma rimfire ammo for less than $3.00 a box. You’ll want to act soon to enjoy these bargains before they’re gone for good. Some of the product lines will still be carried by Grizzly.com, but bullets, brass, powder, and ammo inventories are being liquidated along with many reloading products and gunsmithing tools. 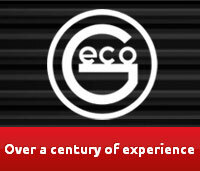 You’ll find huge discounts on many top-tier products. 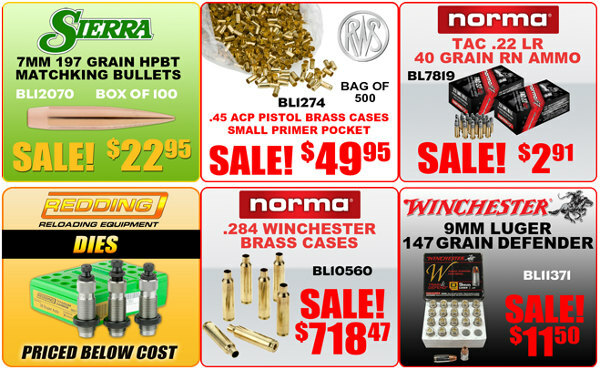 Here’s your chance to save big bucks on quality tools, gear, ammo, and reloading components. Guys — take note: this is a unique opportunity to pick up some great products at truly rock-bottom prices. But remember this is an inventory close-out sale, limited to stock on hand. When it’s gone, it’s gone. 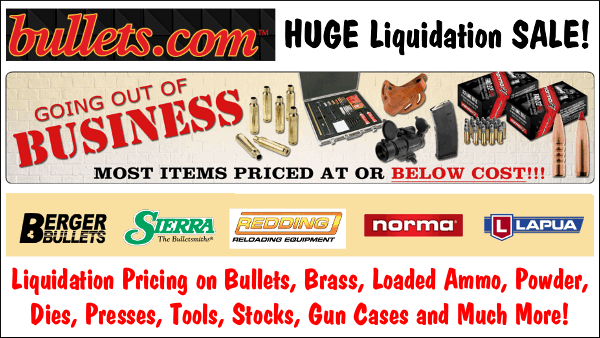 Share the post "Killer Deals at Bullets.com — Liquidation Sale"